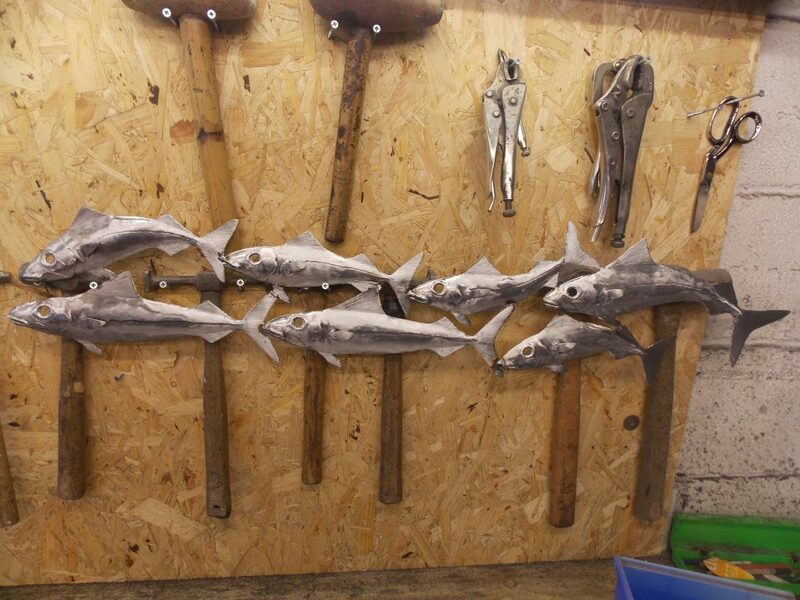 Here you can see the early stages of making the 50th birthday gift shoal. 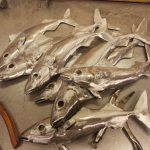 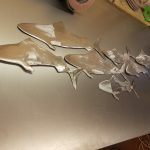 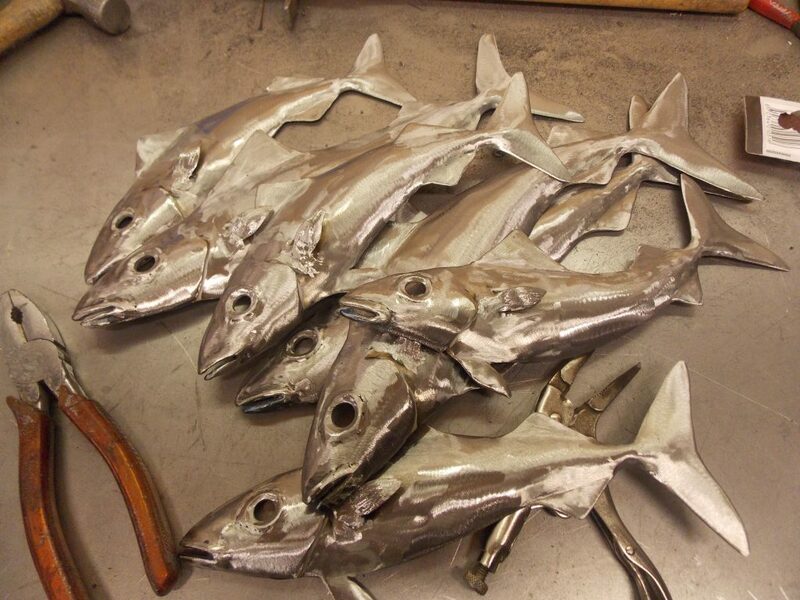 After each fish has been cut out and shaped, then their individual features and eyes can be added. 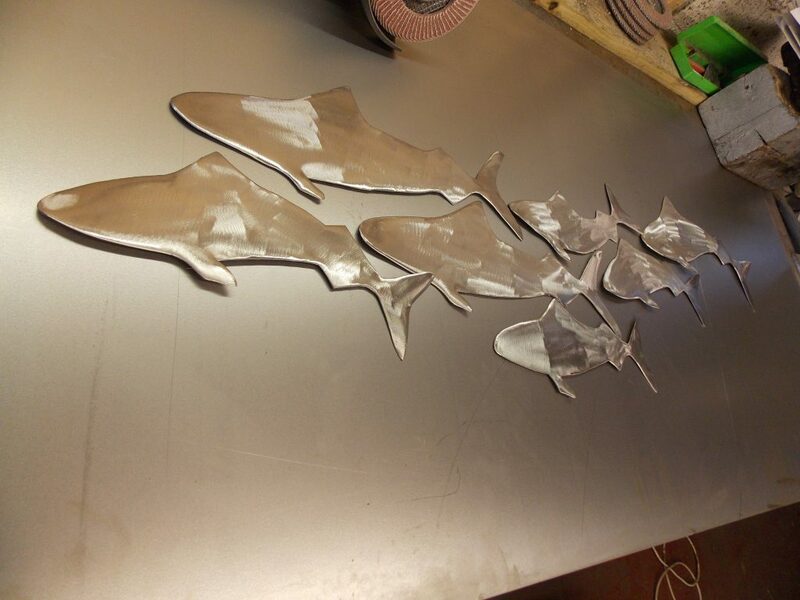 Second stages of the birthday shoal show that now the eye sockets and fins have been prepared. 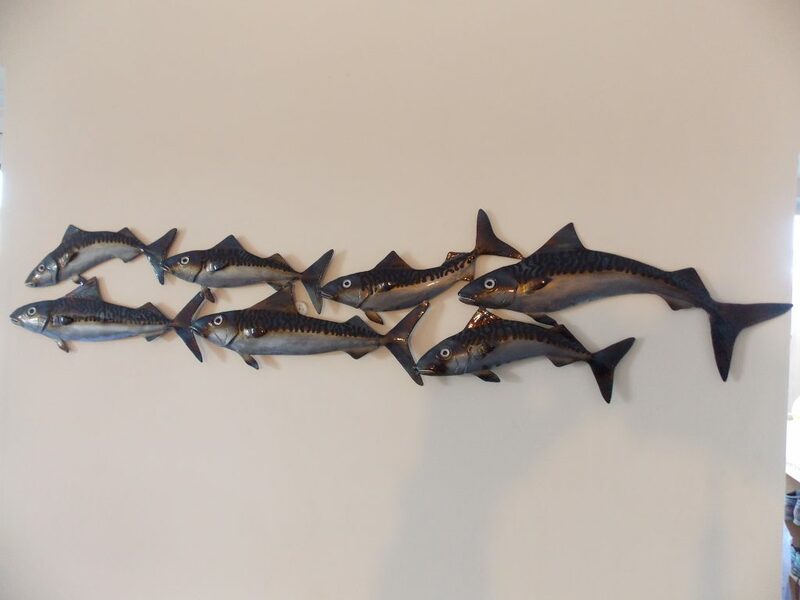 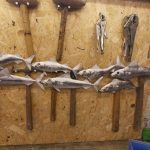 The birthday shoal is now designed and welded into shape. 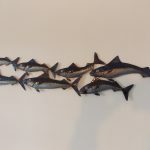 Follow us on Facebook for the latest projects, installations and other social news.